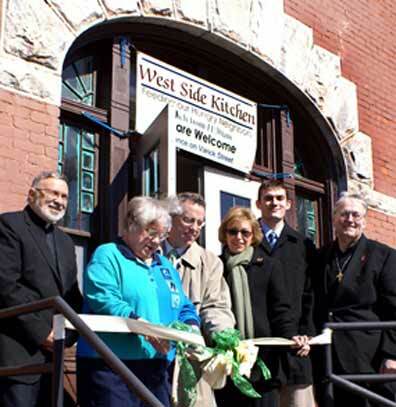 A coordinating group, led by Deacon Gilbert Nadeau, was the organizing force behind the launch of the soup kitchen. The group included parishioners, friends of the parish, and members of the Secular Franciscan Order (Ordo Franciscanus Saecularis). Deacon Gilbert Nadeau, chairman, and facility/supply coordinator. Bob & Donna Oderkirk, food production coordinators. Rick Roberts, OFS, & Rose Marie Roberts, volunteer coordinators. Katie Koscinski, OFS, training, and Franciscan Service coordinator. Joanne Lockwood, OFS, quality control coordinator. Robert & Mary Stronach, OFS, hospitality, & PR/publicity coordinator.